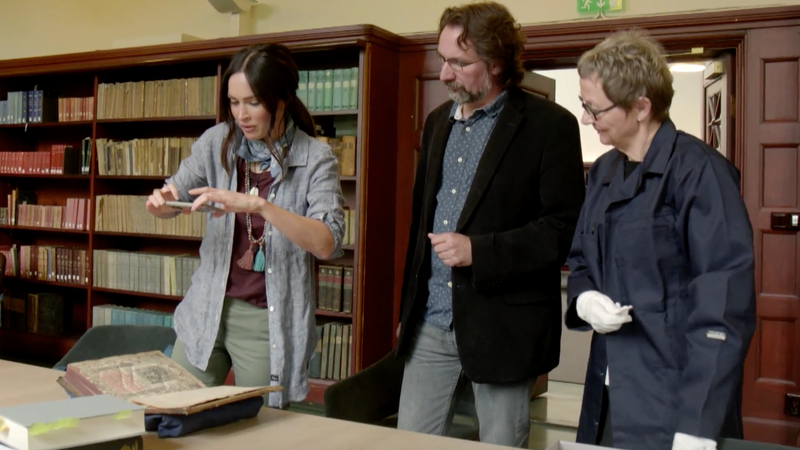 In the two weeks the world has known about Megan Fox’s archaeology show Legends of the Lost, I’ve thought of little else. Who could make the general public care about artifacts if not a gorgeous person who once revealed herself to be an aspiring VICE contributor because of her “bit of a journalistic streak”? Who but the actor who once traveled to the Great Pyramids in Giza to shoot the classic 2009 film Transformers: Revenge of the Fallen, therefore making her qualified for the job? The show premiered Tuesday night on the Travel Channel, and lo and behold, it’s both educational and fun. The episode’s focus is on the women Vikings who were merchants, traders, and psychics called Volvas. If they weren’t warriors (some archaeologists remain skeptical), Fox notes, they at least defended against intruders who challenged them at home in Denmark, Sweden, Norway, and England. Exaggerations aside, it’s the team of experts and their narrative-busting—along with Fox’s off-the-cuff remarks—that make the show palatable. Fox meanwhile teeters between nerdy pop culture references and total fear in a way that makes up for what’s often missing in shows about the ancient past: a host who’s actually scared to do all the things they’ve signed up to do. In next week’s episode, Fox visits Stonehenge. Can’t wait to learn which healing rocks are feminist icons.